When Is Mother’s Day 2009? It’ll Be Here Before You Know It! Mother’s Day 2009 is just around the corner, are you ready? This year Mother’s Day is Sunday May 10th 2009. I repeat, MOTHER’S DAY 2009 IS SUNDAY MAY 10th. I usually just get my mother flowers; she’s not really into Mother’s Day so there’s no need for me to go over board. My sister is a mother too so I’ll get her a little something; I think I got her PJs last year for her first Mother’s Day. When you’re thinking about what to get for the mothers in your life, remember those with children of the canine and feline kind – not everyone’s children have only two legs. There are approximately 21,135 florists across the United States. As of 2005 there were 120 greeting card publishing companies, with a total of 12,473 employees. In 2005 there were 12,854 cosmetic, beauty supply and perfume stores in America. Side note: Perfume is one of the most popular Mother’s Day gifts. The U.S. was home to 29,624 jewelry stores in 2005. Mother’s Day is extremely commercialized now – as is almost every other holiday – but the part where we actually celebrate our mothers goes way back. The ancient Greeks celebrated Mother’s Day in spring, like we do. They used to honor Rhea, “mother of the gods” with honey-cakes and fine drinks and flowers at dawn. Sounds like the beginnings of the Mother’s Day tradition of breakfast in bed! During the 1600’s, England celebrated a day called “Mothering Sunday.” Servants would go home to see their families, bringing cakes and sweets to their moms. This custom was called “going a-mothering”. Each mother would receive a simnel-cake (Latin for “fine flour) and mother’s would give a blessing to their children. Anna Jarvis of Philadelphia began the campaign that brought about the official observance of Mother’s Day in the United States. Her mother died, and Anna wanted all mothers to be remembered. She asked that white carnations be the official mother’s day symbol. 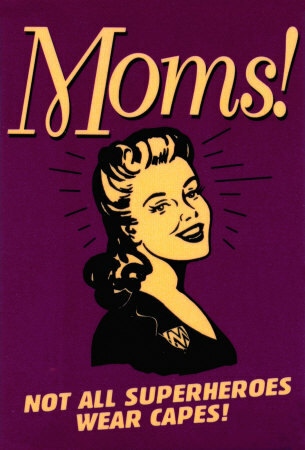 In 1914, President Woodrow Wilson signed the orders that made Mother’s Day a national holiday. Just nine years later, Anna filed a lawsuit in an effort to stop the over- commercialization of Mother’s Day. She lost her fight. Now, cards, letters, candy and dinners out mark Mother’s Day for most families. Anna had hoped for a day of reflection and quiet prayer by families, thanking God for all that mothers had done. Happy Mother’s Day to every type of mother out there! Thank you for all that you do. Without mothers we would be nothing. previous post: Beyonce Impostor So NOT Beyonce. Museum Fooled. 50 queries in 1.672 seconds.